Gorkha- Pokhara Tour combines natural blessings of Pokhara and historical Gorkha museum and Gorkha Palace. Gorkha- Pokhara Tour begins with a drive from Kathmandu to historical city Gorkha. Spending a night at Gorkha, we explore Gorkha Museum and Gorkha Palace. Gorkha Palace is located at the top of the hill with fort and lush forest. This hilltop is also a popular vantage point to witness breathtaking mountain views including Manaslu and Ganehs Himal. Next, we drive to Pokhara to experience incredible natural blessings. 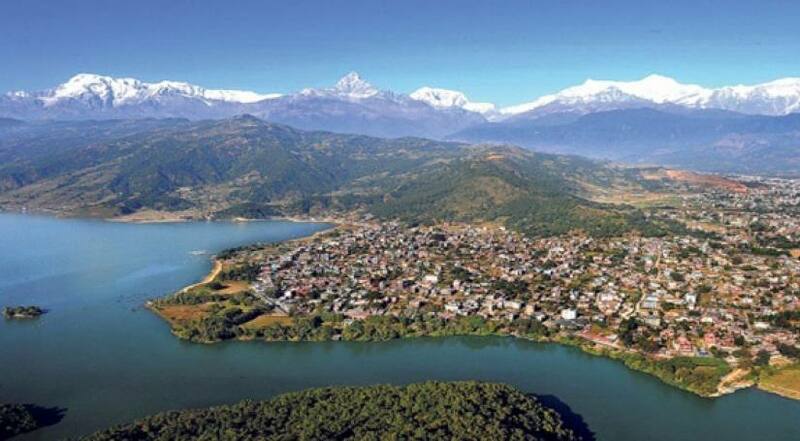 Pokhara offers us serene lakes, natural water falls, holy and historical caves and deep gorges. Phewa Lake, Davi's Fall, Begnas Lake, Talbarahi Temple, Mahendra Barahi Temple, Seti Gorge and Gupteswor Mahadev Cave. Besides, we can visit Sarangkot, a hill station popular for sunrise and mountain views: Annapurna Range, and World peace pagoda which offers us magnificent view of Phewa lake, mountain peaks and Pokhara valley. Pokhara also provides us an opportunity to experience the thrills of Paragliding. We either drive or fly back to Kathmandu to end our Gorkha- Pokhara tour. If we choose to drive, it takes 6 hours and the flight takes 30 minutes. After breakfast, drive to Gorkha a scenic hill town with the great historical significance of King Prithvi Narayan Shah who unified Nepal. So, the main thing to visit here is the interesting Gorkha Durbar (Fort) with great mountain views of Annapurna, Manaslu and Ganesh Himal range to the north and Gorkha sight-seeing including the Museum, Gorkhanath temple, an interesting carving of Hanuman, Kalika Mandir a temple dedicated to the goddess Kali. After breakfast, tour trails to Pokhara. The road passes through the scenic mountainous region and terrace farming in the hills. On reaching Pokhara, you will be greeted by the hotel representative and rest of the day is free. You can go for an evening walk around the lakeside. Lies in the center of religious old bazaar. It is dedicated to Goddess Bhagwati, yet another manifestation of Shakti. The park grounds offer a fine picnic and relaxing area. Locally known as Patale Chhango and in the southern flank of the Pokhara valley is where the stream flowing from Fewa Lake collapses and surges down the rock into a deep gorge, leaping through several potholes. This is hugely popular with tourists and locals alike. The revered Gupteshwor Cave is situated 2 kms from Pokhara airport. The entrance is right across from Devi’s fall and the cave is almost 3 kms long. It has some big hall-sized rooms and some passages where you have to crawl on all four. This cave holds special value to Hindus since a phallic symbol of Lord Shiva is preserved here in the condition it was discovered. Situated at an altitude of 800m above sea level, it is the second largest lake in the kingdom. With the Barahi Island Temple in the middle of the lake it is the most important religious monument in Pokhara. Built almost in the middle of Phewa Lake, this two-storied pagoda is dedicated to the female force Shakti. The reflection of Mt. Machhapuchhare and Annapurna can be seen in its serene water. Thick forest lies on the adjoining southern slopes of the lake. Carved by Seti-Gandaki is one of the natural wonders of Pokhara. K.I. Singh bridge at Bagar, Mahendrapool & Prithivi highway Bridge near bus park, provides a perfect view of the river’s dreadful rush and the deep gorge made by the turbulent flow of white water. You have an option of both driving as well as flying back to Kathmandu. The Pokhara-Kathmandu flight swifts along the Himalayas unveiling Manaslu, Ganesh Himal and Langtang ranges. Tour of Bhaktapur and Patan could be planned in Kathmandu for the afternoon. Accommodation in 4 star hotel in Pokhara (Mount Kailsh Resort) in twin sharing bed and breakfast basis. Accommodation in 3 star hotel in Gorkha (Hotel Bisauni) in twin sharing bed and breakfast basis. Private luxury Transportation throughout the trip. Lunch and Dinner while you are in Pokhara and Gorkha(Meal costs about 3 -7 dollars per item depending on the place where you eat). Luxury Holidays Nepal provides you 4 star hotels in Pokhara and 3 star hotel in Gorkha. If you want the luxury accommodation of 5 star then contact us for cost detail. In Pokhara, you will be staying at Hotel Mount Kailash Resort or Similar category, In Gorkha Hotel Bishauni or similar category. You should carry the water bottle, sunscreen, camera, spare jacket, etc in your daypack. You are provided with a free locker room in the hotel of Kathmandu. The weight allowance in domestic airlines of Nepal is up to 20 kg and for more weight you have to pay US$1 per/kg depending on the area. Some major currencies (USD, AUD, and EURO) are accepted for both visa and in general. There are plenty of ATM's in Kathmandu and credit cards are accepted in limited shops and many restaurants. Please note that only Nepali rupees are accepted on the trek. The altitude sickness will get from 3000 meters. Normally below three 3000 meters will not have altitude related problems usually for people for stable health. But above it can cause altitude-related sickness. If you have a health condition which might cause problems, please consult a doctor about the advisability of doing the trek. If you like our service and you want to extend your trip, then we can further organize your trip to India, Bhutan and Tibet. And other trekking and activities of Nepal like Everest Trek, Annapurna Basecamp Trek, Langtang Trek, Manaslu Trek, Bunjee Jumping, Rafting, Peak Climbing, etc. A general rule of thumb for tipping is USD 40 to USD 70 per Traveler, depending on the length of the tour. This is just a guide and you may tip however much you think is appropriate for the services rendered which made your trip a memorable one.